Ireland is one of the most underrated and beautiful countries to visit. There’s something so romantic about the history, the still-present Gaelic language, and the sprawling green countryside. Despite the year-round rainy weather, there are often days here and there of warm sunlight. 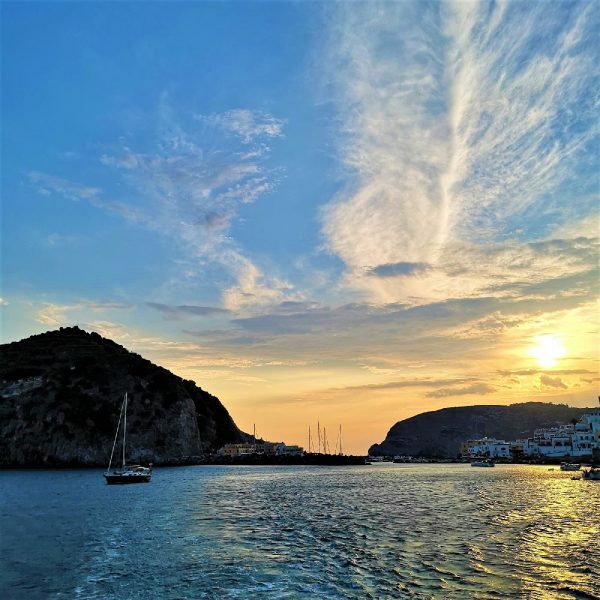 When you first visit, exploring the major cities is a good place to start, but the most charming places are those little towns on the outskirts of the bigger metropolitan areas. 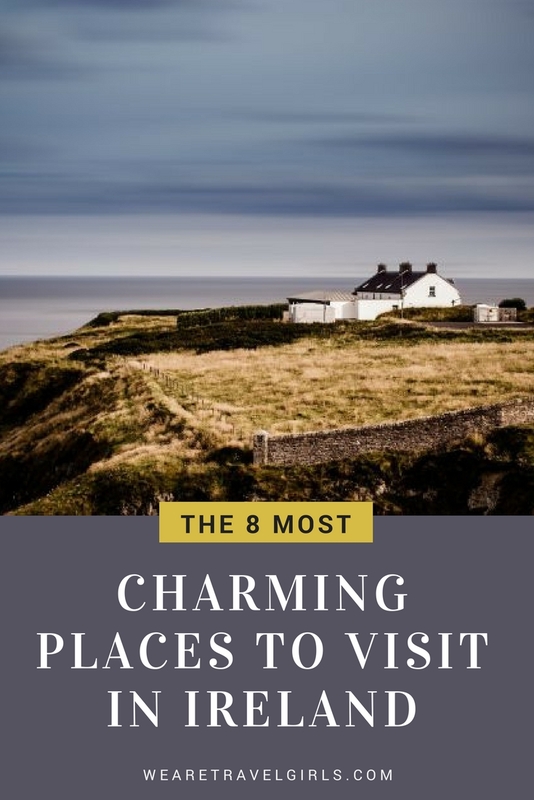 Here are some of the most charming places to visit on the Emerald Isle. 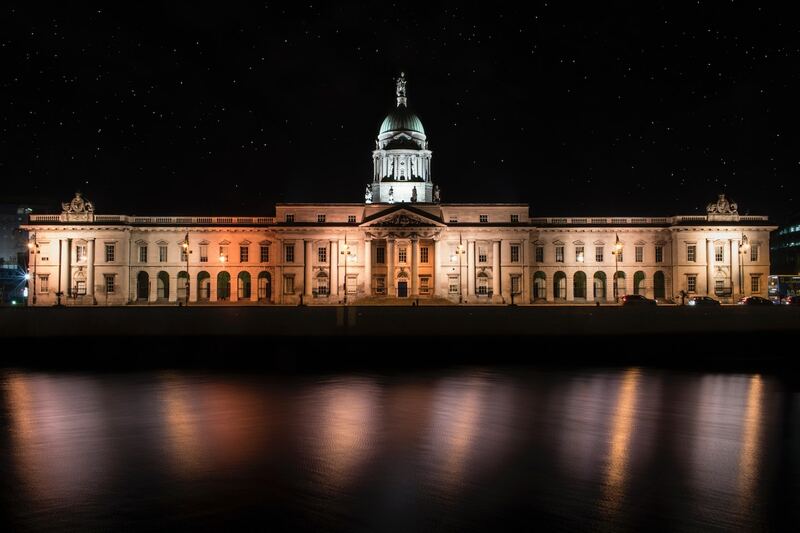 Would a trip to Ireland really be complete without a visit to Ireland’s capital city? This is the home of the Guinness Storehouse where many people go to get an educational tour of Ireland’s most famous beer. Plus, you learn how to properly pour yourself a pint. Aside from drinking beer, there are a surprisingly large number of cafes and restaurants to visit. Ireland isn’t exactly known for its great food, but The Fumbally serves fresh farm salads, hearty toast and eggs, and a strong cup of brewed coffee. If you’re into bar hopping, you’re in luck—there are a reported 752 pubs in Dublin City and its suburbs. At almost any time of the day, you can visit the very famous and historic Temple Bar, which is over 160 years old. There, you’ll surely become fast friends with friendly locals and other imbibing visitors. 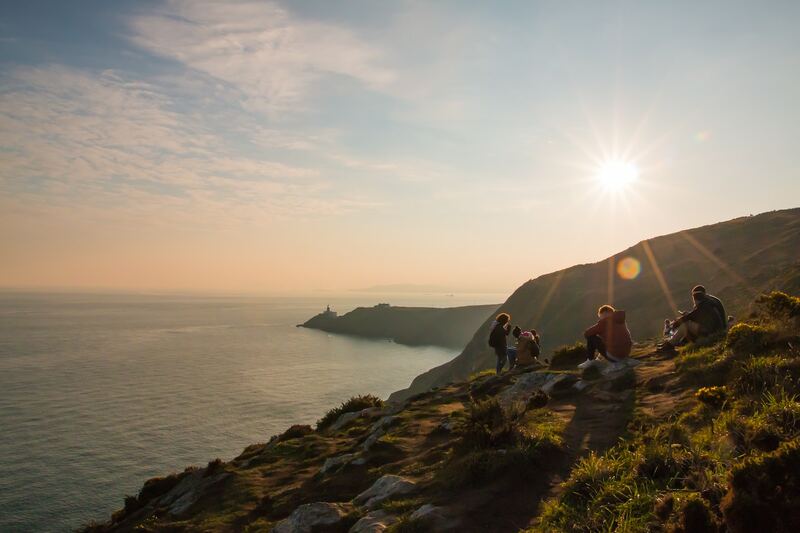 If you want to escape Dublin’s city life for a day, Howth might just be the perfect place. It’s a gorgeous little fishing village, situated in a tiny little harbor with sweeping views of Dublin Bay. To get there you can take the DART train if you leave from Connolly Train Station, which should take you only about 45 minutes one way. Once you arrive at Howth Station, the village is sprinkled with harbor-side cafes, pubs, and restaurants as well as a tourist stand providing maps of the area. If you happen to be there on the weekend, check out Howth Market to purchase organic produce, freshly baked goods, antiques, and more. Many people who visit Howth go for the coastal walk which offers treks of various lengths: between 6-10km and anywhere from 1.5 to 3.5 hours. The views are absolutely stunning and the path is incredibly safe if you choose to trek out alone. Once you’ve finished your walk, grab a pint of Guinness at one of the many pubs or eat up a greasy, fulfilling helping of fish and chips at Beschoff Bros before heading back to Dublin by train. 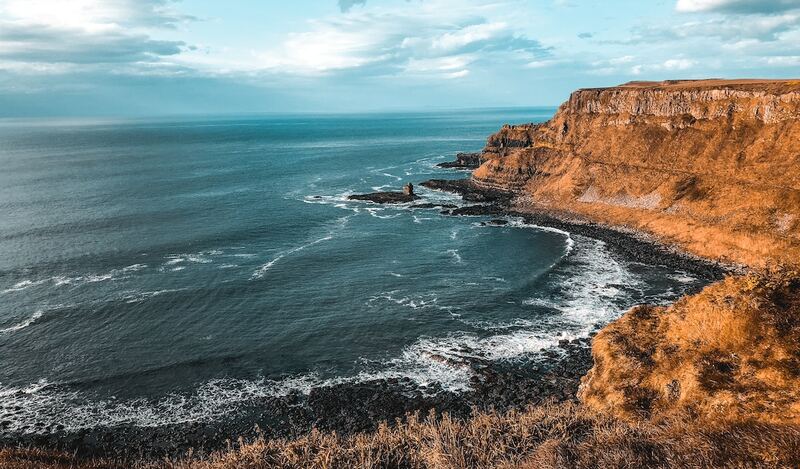 Giant’s Causeway is located up in Northern Ireland, but it’s absolutely worth visiting. Ireland is pretty small and fairly easy to get around by bus, so definitely include this stop in your itinerary. If you have more time to spare, you can take a 2-day tour from Dublin and stay overnight in Belfast. Giant’s Causeway is absolutely worth seeing: it’s a set of naturally made vertical basalt columns and is a UNESCO World Heritage Site. 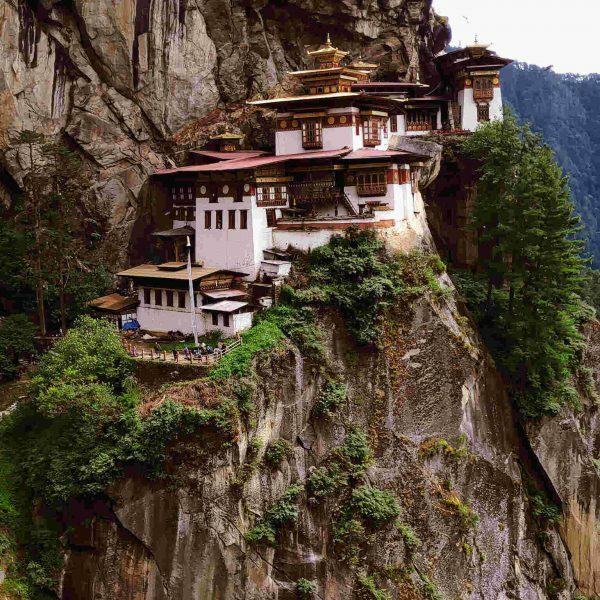 When you go, you’ll see people climbing all along the rock structures and taking lots of photos. 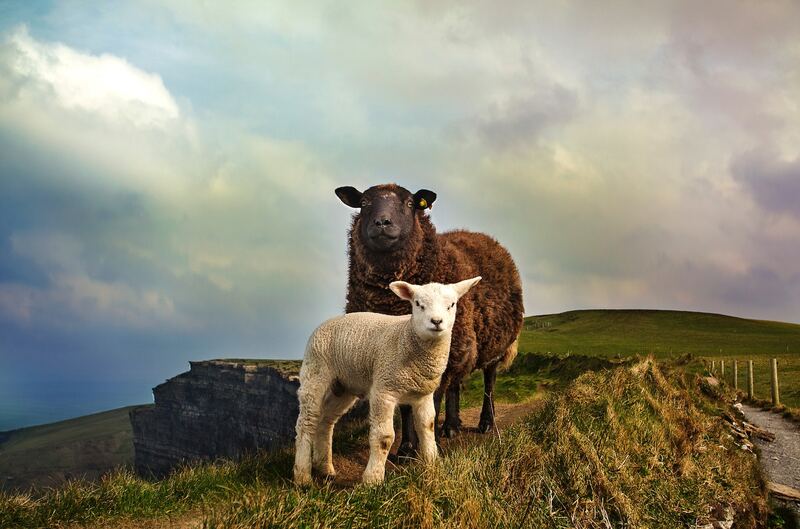 From Dublin, head over to the western coast of Ireland to check out Galway. Galway was exactly what I pictured when I thought of Ireland: cobblestone streets, wide open greens, oceanside walks, and Irish pubs playing live music. The air there is clean and crisp and the vibe is very relaxed and laid back. You get the best of both worlds: city life convenience and countryside relaxation. Since it’s on the coast, definitely sample some seafood while you’re there. McDonagh’s is the most famous “chippy” joint in the area and both locals and tourists will recommend grabbing a hot fish and chips there. 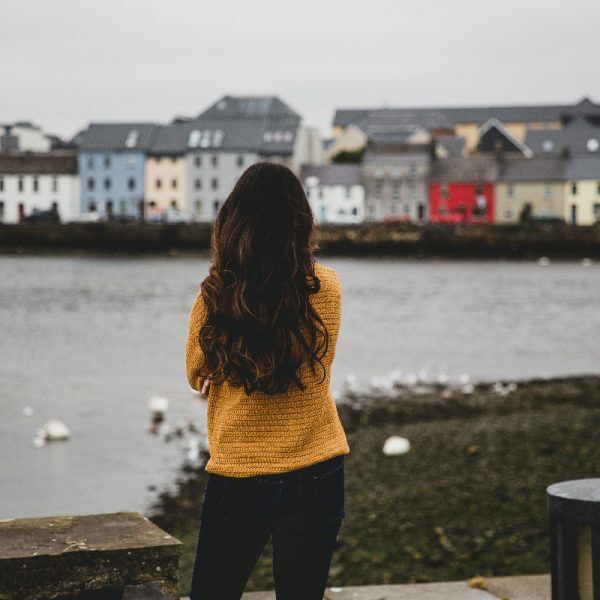 Galway is a major hub for tours going to other highly trafficked destinations like the famous Cliffs of Moher, Connemara National Park, and Dunguaire Castle. If you end up booking day tours, Paddywagon tours and Viator are both great options. After visiting Galway, head southwest down the coast to Killarney. The town will immediately catch your attention with its rows of colored homes, tiny alleyways, and street buskers. 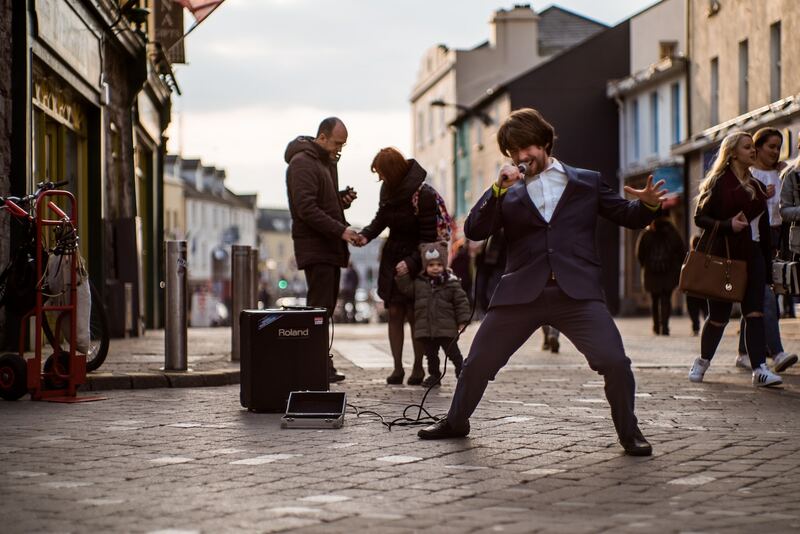 Killarney’s town center is relatively small and you can easily see everything there in a day. Just outside Killarney’s city center there’s quite a lot to do. If you are pressed for time and only have one day there, visit Killarney National Park—the first national park in Ireland. If it’s not raining, rent a bike and explore the winding paths, unique flora, and beautiful natural lakes along the way. 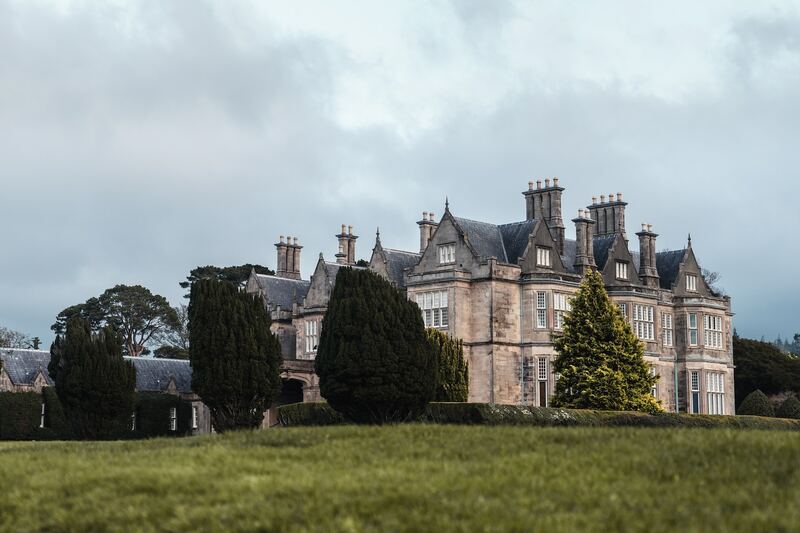 Be sure to stop by the Tudor style Muckross House, a beautiful 19th-century mansion. If you want a more leisurely way to see the park, you can also go on a tour by horse and carriage. This was the sweetest little town, with the main attraction being the nearby Dingle Beach, part of Dingle Peninsula. When you visit, you’ll see people surfing, horses walking in the wet sand, and families flying kites. This spot could not have been any more picturesque. Once you leave the beach, head into town for an ice cream from the popular Murphy’s Ice Cream. If you plan to stay overnight, there are a handful of charming B&B’s to choose from. If you plan on only going for the day, it’s easy to take a day trip there from Killarney. Further down south lies the city of Cork. 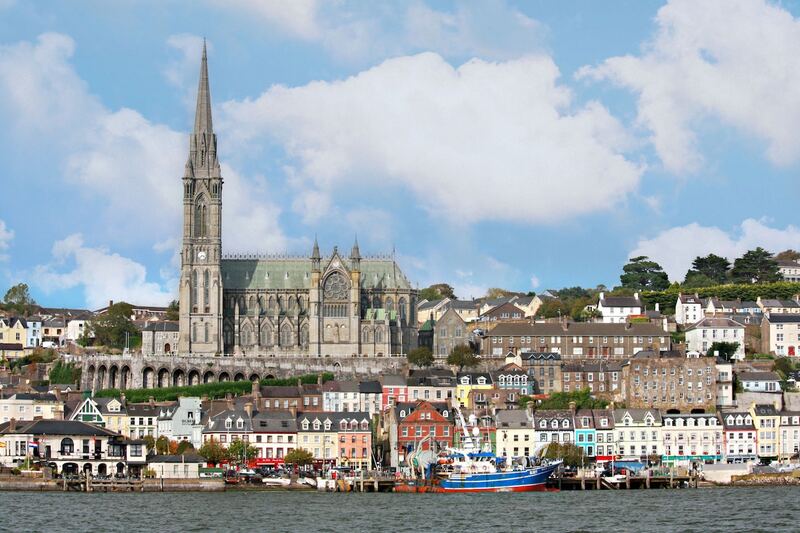 There’s not a whole lot to do in the city itself, but just outside there’s a little town known as Cobh (pronounced “Cove”). One of its main highlights is the gorgeous St. Colman’s Cathedral, a spectacular neo-gothic church. The town itself is very hilly and lined with beautifully colored homes that overlook the final port of call of the Titanic. If you want to learn more about Cobh’s mass emigrations, check out the Cobh Heritage Center. 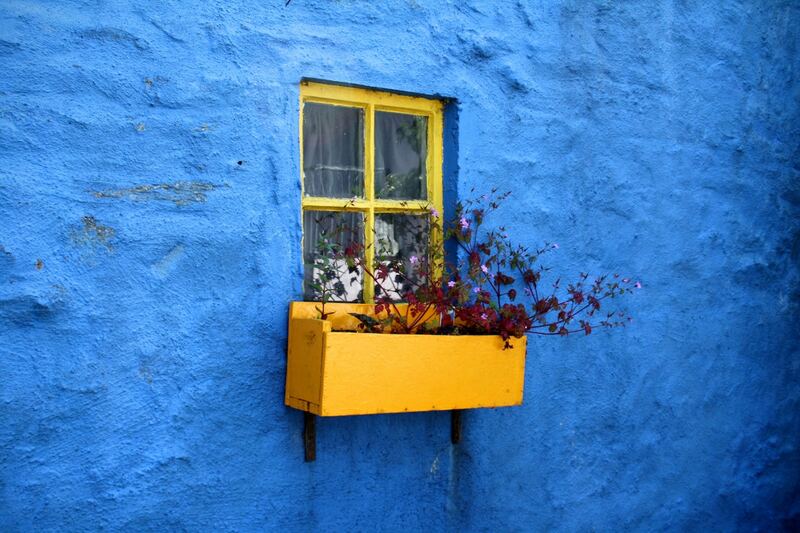 There’s another coastal town that you can get to from Cork called Kinsale. It’s filled with tons of cafes and craft shops, making it a favorite weekend escape for locals and visitors alike. One cafe worth checking out is Poet’s Corner. They have a large book exchange library, making it the perfect place to stop in and read a bit of classic Irish literature. Sample their homemade gluten-free brownie and enjoy a hot cup of coffee. After, wander around the little shops to browse for souvenirs or purchase fine handmade silver jewelry. 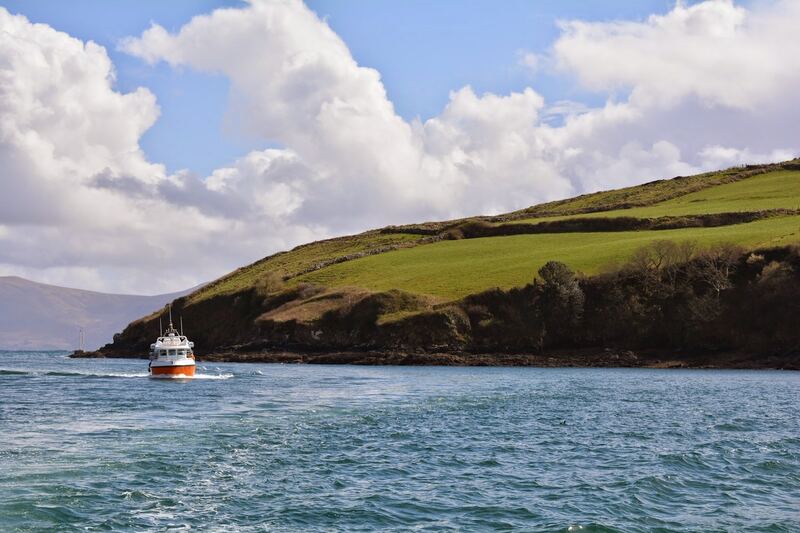 To visit Kinsale, you can take Bus Eireann from Cork’s main station and it should take just under an hour one way. The buses run every hour to and from Kinsale, so make sure you don’t miss your bus back to Cork! As you can see, Ireland is not all about Guinness and soda bread. Boasting a deep history, a friendly and welcoming Celtic culture, spectacular churches, and glorious natural landscapes, Ireland is a place you’ll want to visit again and again. Have you ever visited Ireland? We’d love to hear your stories, tips or questions in the comment section below! This website is a free resource and to keep it free for our readers we may use affiliate links in our articles. Please see our Disclosures for more information.